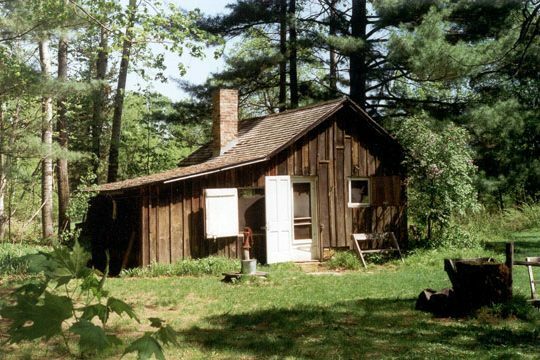 The Shack – a rebuilt chicken coop along the Wisconsin River where Aldo Leopold and his family stayed during weekend retreats – is the heart of the Aldo Leopold Foundation’s programs. 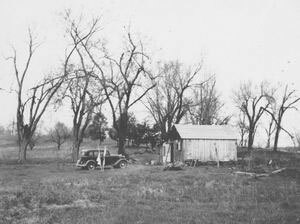 The landscape surrounding the Leopold Shack and Farm informed the vision put forth by Leopold in his conservation classic, A Sand County Almanac, including his call for a “land ethic” – a caring, ethical relationship between people and nature. In the winter of 1935, Aldo Leopold went down a two-track, sand road in search of land for a family hunting camp. Alongside the Wisconsin River, he found a worn out farm available for eight dollars per acre. Running against all cultural norms, he bought the bleak, windswept place rather than seeking richer land someplace else. The decision proved pivotal to Leopold’s family, his relationship to the land, and the millions of readers who’ve since been moved by A Sand County Almanac. In recognition of the property’s exceptional historic value to the nation as a whole, in 2009 the National Park Service designated the Shack and Farm a National Historic Landmark. Did Leopold realize the abandoned farm’s potential at the outset? No one knows for certain, but soon the family embraced the farm as a new kind of workshop or laboratory – a place to tinker and experiment with restoring health to an ailing piece of land. It was the sort of land common to a nation long obsessed with homesteading and suddenly stricken by the Great Depression and Dust Bowl, twin specters of economic and natural catastrophe that shook the United States in the 1930s. During weekends and breaks from school, Leopold, his wife Estella, and their five children lived close to the land. By fixing up their dilapidated chicken coop, they created a home away from home. They also tended a garden, cut firewood, and planted trees – eventually, some 40,000. Doomed by Dust Bowl droughts, more than 95 percent of the pines planted by the Leopold family died in the early years. Yet the family persevered, and planting at the farm became a rite of spring. Thousands of pines and other plantings eventually thrived, transforming the landscape into the mosaic of conifers, hardwoods, and prairie that visitors see today.